I have worked as dean of Laurier’s Faculty of Music since 2010. 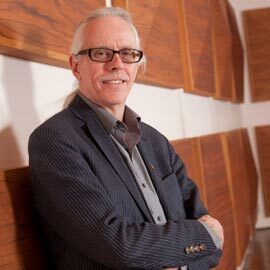 Prior to my position at Laurier, I was dean of the School of Music at Brandon University from 1998-2008 and prior to that taught for 10 years at Lakehead University, where I was founding chair of the Department of Music. Internationally, I have presented conference papers and guest lectures in the United States, France, the United Kingdom, Ireland, Sweden, the Netherlands, Australia, Malaysia, Vietnam, China, Serbia, Italy, Greece, Spain and Brazil. My publications and articles in the fields of musicology and university music education have appeared in many sources, including the Journal of Musicology, Music Review, International Journal of Music Education, Clavier, Piano & Keyboard, Canadian University Music Review and International Journal of Community Music. I am the chair of the Commission for the Education of the Professional Musician of the International Society for Music Education and past chair of the New York State/St. Lawrence Chapter of the American Musicological Society. My current research involves post-secondary music teaching and learning, music and democracy – particularly as reflected in the life, philosophies and works of Percy Grainger – and musical performance as aural historiography. Served on the board of the Canadian University Music Society for many years and was its president from 2001 to 2003. Served on the National Board and Regional Council of the Canadian Music Centre.